Thundersnow, as seen in the two videos below featuring The Weather Channel’s Jim Cantore, is exactly what it sounds like – a snowstorm that has lightning and thunder like a thunderstorm. Also known as thunder snowstorms or winter thunderstorms, a thundersnow only happens when a rare set of conditions occur. In fact, people only witness about 6.3 thundersnow events each year. Typically between late winter and early spring when the air beneath the clouds is warmer near the ground than the air in the upper cloud layers. The cumulonimbus cloud (towering mass with a flat base at fairly low altitude and often a flat top, as in thunderstorms) must be lower than a typical thunderstorm, and the warmer air temperature must still be cold enough to form snow. Thunder snowstorms usually create snowflakes, soft snow pellets, hail and strong “gravity wave” currents of air similar to ocean waves. The lightning produced appears in purplish-blue flashes. A thundersnow occurs wherever lake-effect snowstorms occur or where conditions favor thunder and lightning in cold weather, such as around the Great Lakes and parts of Canada. They also sometimes happen near the Sea of Japan, Mount Everest and parts of northwestern Europe. 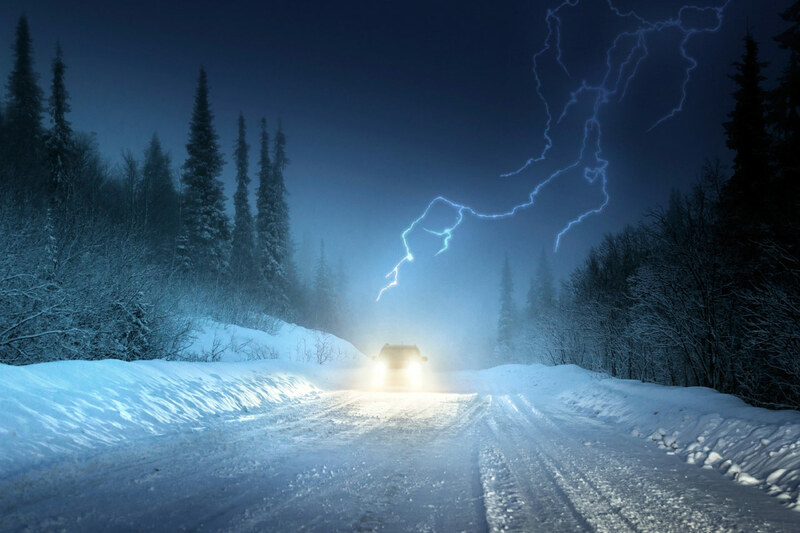 As a combination of a thunderstorm and snowstorm, a thundersnow poses twice the risk. Snowfall muffles thunder, resulting in an echo of only two to three miles, which means that people outside the range might not realize that a snowstorm is a thundersnow. A winter thunderstorm rapidly drops snow at a rate of two to four inches per hour, limiting outdoor visibility to one-fourth of a mile or less. Poor visibility can cause car accidents and heavy snow to pile up on rooftops. A thundersnow’s strong tropical storm force level winds can also cause property damage, extremely low wind chills, and frostbite. Lightning produced during winter thunderstorms can strike the ground as well as people and buildings. Recently, Weatherbug reported that a March 1996 thundersnow in Minneapolis caused a man to be struck by lightning. Four Maine teens in February 2002 were injured when lightning struck a hill they were on. On January 14, 2015, The Daily Mail reported that thundersnow lightning struck a house in Cornwall so hard that it blasted a hole into the side of the building. To learn more about general thunderstorms and lightning, check out our post on Lightning Safety Tips and Myths. 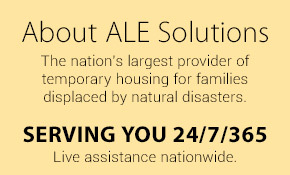 Help be more prepared for disasters by learning about ALE’s disaster response solutions.